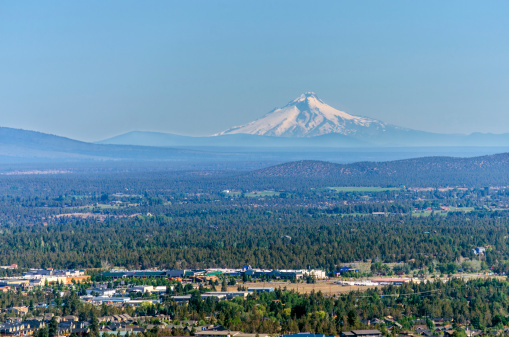 Bend, Oregon sits in Central Oregon, just east of the Cascade Range. 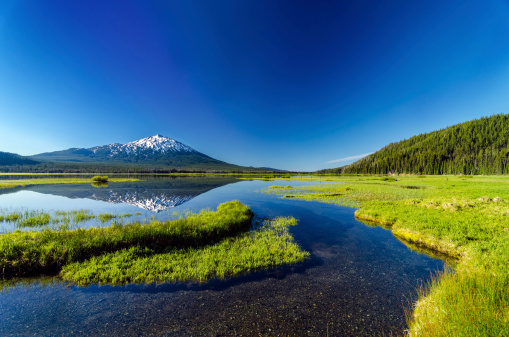 Surrounded by the beauty of Oregon's high desert plateaus, Bend is a true oasis. Once a lumber town, Bend has become a city known for so much more. With a celebrated craft brewery industry, and a haven for outdoor enthusiasts, Bend offers something for every want or interest. The city itself has over 70 parks and 48 miles of recreational trails. For golf enthusiasts, Bend is at most less than an hour away from 26 golf courses, and the Deschutes River runs through the city, offering water activities, fishing and more. Bend's growth has been considerable over the past 10 years. The climate is much drier than the Pacific Northwest, which attracts transplants and those looking to escape the moisture of Portland and other areas in the Willamette Valley known for their rain. Year-round sunshine and limited amounts of rain, and snow in the winter, attract all types of people. With celebrated restaurants, a strong and ever growing craft beer devotion, a popular concert series, endless outdoor opportunities on Mt. Bachelor and Smith Rock State Park, a thriving arts community and much more, Bend welcomes new residents, current residents and visitors with open arms. 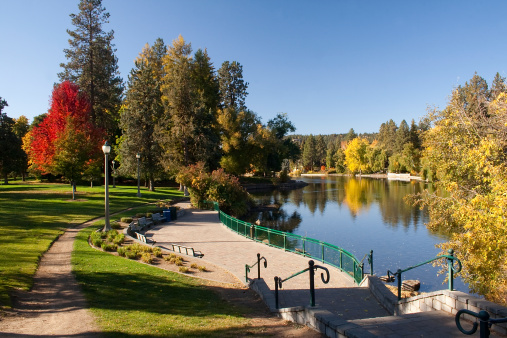 Bend has a plethora of amenities available to residents. 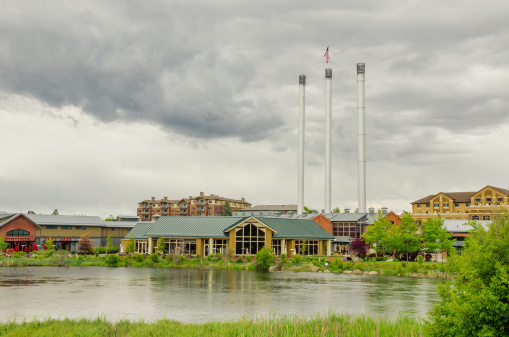 The Old Mill District, Bend Factory Stores and Cascade Village Shopping Center present multiple opportunities for shopping, and the area has its own national chains, big box stores, and other amenities, as well as a fair number of locally owned and operated stores. Bend also has a number of education opportunities available to residents. Oregon State University-Cascades is a satellite campus for the popular university, which offers under-grad and graduate programs, and Central Oregon Community College offers two-year associates degree programs. There is also the Sage School of Massage and Phagans Central Oregon Beauty College. Some popular Bend neighborhoods: Downtown Bend, Old Mill, Northwest Crossing, Awbrey Butte, Eastside and Juniper Ridge.